It’s not just the service that is average, but predictable. The coffee is the same way…Predictability can be a double edged sword. It can put people in auto pilot, for example. Or it can lull a company into believing that all is well as its best customers start moving away. Predictability is the friend of complacency and taking things for granted—on both sides of a relationship. 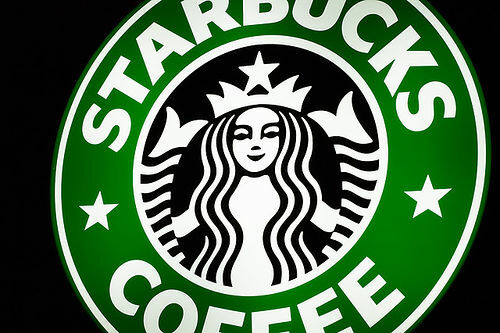 Was Starbucks too much of a good thing? Maybe predictability is fine if you achieve success, then move on to innovate in another (or related) area. To date, society has taken comfort in predictability, but I think we’re seeing a change. For example, the success of the VCR, followed by the DVR, highlights how we want to watch video on our own schedule. We don’t want the predictability of being glued to the television at a specific time on a certain day. We’ve embraced the innovation of picking the time, and even place, for our viewing. And we’ve seen how advertisers and media producers have panicked at the notion that they no longer control our eyeballs on a specific schedule. These groups have lost the predictability of a captive viewing audience, which has destroyed their equations for determining value at a particular time. I believe that’s predictability’s underlying weakness: once the core of something predictable is lost, it can’t be recovered. The question remains, how do you determine if you’ve become too complacent to innovate and recover? Starbucks answered the challenge to its dominance from companies like McDonald’s by recently starting a pilot program in Seattle that offers a small coffee for $1, along with free refills in on all sizes. That was in 1899. He was slightly wrong. 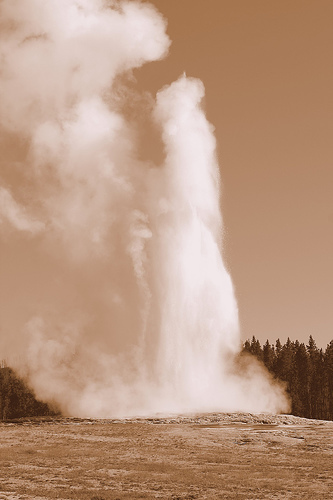 Because Old Faithful has held to its historic pattern, park naturalists can still accurately predict most of the geyser’s eruptions within a window of about 20 minutes. But some visitors lose patience with the geothermal wonder. The shift in the geyser’s pattern to more frequent long intervals between eruptions does not mean Old Faithful is losing steam, as many headline-writers crowed when the geyser’s slowdown was first widely reported in the 1980s. Generally, the longer an eruption, the longer the geyser will take to recharge before the next eruption, providing the basis for park naturalists’ predictions. And the longer the geyser takes to recharge, the taller and longer the next eruption will be and, consequently, the more water it will eject. I would argue that Old Faithful changed its predictability, but not its consistency. Old Faithful consistently produces eruptions, although on a slightly different schedule, but with even more exciting results. You don’t have to be predictable to be consistent, and I think it’s consistency that matters more to customers and creates a stronger impression. You might be muttering, “Aren’t consistency and predictability the same thing?” Not really, from my perspective. Here’s an example of my interpretation. You likely won’t get the same customer service rep each time you attempt to resolve an issue with a particular company. If you did, that would be predictability. However, if you get the same results, regardless of the rep, that’s consistency. Which would you rather have? The same rep or the same results? The debate is far from over, but as I hear people discussing what I consider to be the differences between predictability and consistency, I hear more people voting in favor of consistency. And I believe that consistency is much more kind to innovation that predictability. Today, I had my faith restored a bit in corporations, and it wasn’t through any big announcement, but rather through an interaction at the local level. In general, I only visit Starbucks when traveling or if the mood strikes, because I’m not a coffee drinker. Instead, I’m awfully fond of the hot chocolate and it makes a nice treat on a cold morning (-3 degrees this morning). Momentarily stunned (what business willingly gives away the most expensive version of a particular product??? ), I offered to pay with smaller bills. Nope. Not necessary. Here’s a receipt with the information to do a survey. Now, I have no idea if this event was representative of a corporate Starbucks policy. Even if it was, I’m still impressed by it. And if not, I admire the initiative of the staff to address the issue without causing problems for their customers. I learned a lesson this morning: if you find yourself in a pickle, and your customers might feel the impact, find a way to turn it around so you and not your customers bear the burden. Case in point, I’m writing about my great experience at Starbucks and the positive mention only cost them $3.07. Are you taking advantage of opportunities to create good impressions for relatively little in the long run?